It suddenly struck me that i haven’t done a poetry posting on this blog for some time. 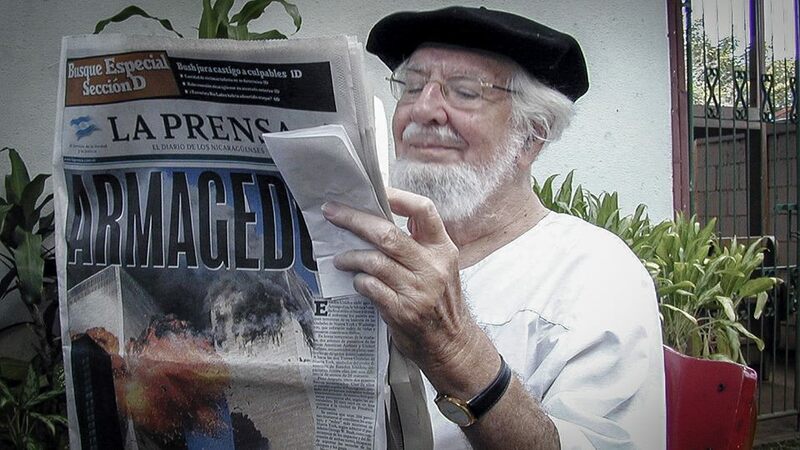 Keeping it all in a Latin American vein, here is Roberto Bolaño’s “Ernesto Cardenal and I.” Ernesto Cardenal was the Sandinista minister of culture from 1979 to 1987 under Daniel Ortega’s government. is there a place for homosexuals? that’ll stand your hair on end. I have only read two of her books so far, but they were both knockouts. 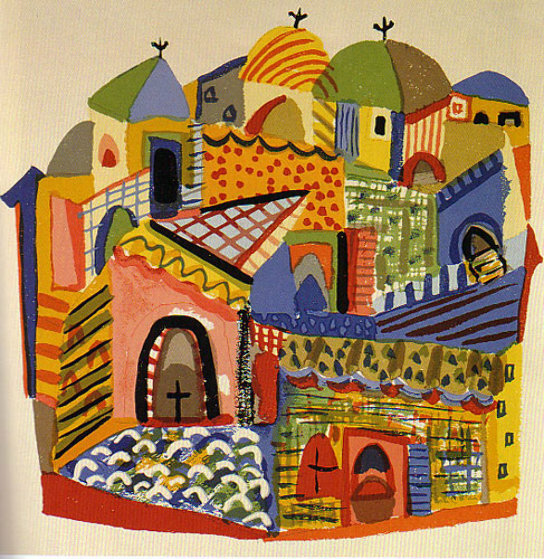 First, there was Zinky Boys (1991), about the Soviet experience in Afghanistan. Now, added to that is Voices from Chernobyl: The Oral History of a Nuclear Disaster (1997). Both books are descriptions of incredible suffering, and they are both powerful disincentives from enlisting in the Soviet military. 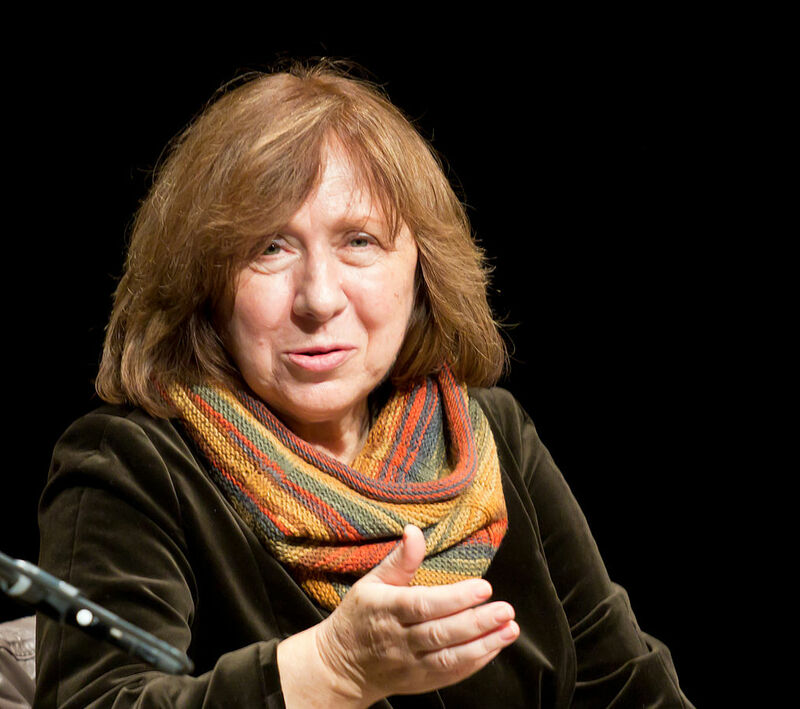 Svetlana Alexievich (b. 1948) is usually described as a Belorussian journalist, though she herself rejects the title: She has been known to edit the first person testimonials from one edition to the next, which is a big no-no for oral historians, but the mark of an imaginative writer. 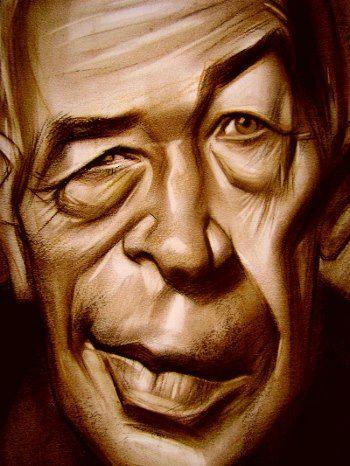 I do not mind, because I will accept 99-44/100% accuracy if it involves stylistic or other improvements. Both Afghanistan and Chernobyl were unspeakable disasters that seemed to go on forever (the latter is still claiming victims), and you cannot hope for a better introduction to both than read Alexievich’s books. They say, “Chernobyl,” and they write, “Chernobyl.” But no one knows what it is. Something frightening opened up before us. Everything is different for us: we aren’t born the same, we don’t die the same. If you ask me, How do people die after Chernobyl? The person I loved more than anything, loved him so much that I couldn’t possibly have loved him more if I’d given birth to him myself—turned—before my eyes—into a monster. They’d taken out his lymph nodes, so they were gone and his circulation was disrupted, and then his nose kind of shifted, it grew three times bigger, and his eyes became different—they sort of drifted away, in different directions, there was a different light in them now, and I saw expressions in them I hadn’t seen, as if he was no longer himself but there was still someone in there looking out. Then one of the eyes closed completely. We were combing through a village. You fling open the door and throw in a grenade in case there’s a machine-gun waiting for you. Why take a risk if a grenade could sort it out for you? I threw the grenade, went in and saw women, two little boys and a baby in some kind of box making do for a cot. You have to find some kind of justification to stop yourself going mad. Suppose it’s true that the souls of the dead look down on us from above? I know that we considered the Soviets to be our enemies, but these books describe scenes that one wouldn’t wish upon one’s worst enemy. There it was, a museum just one block from our hotel in the Mariscal district of Quito. 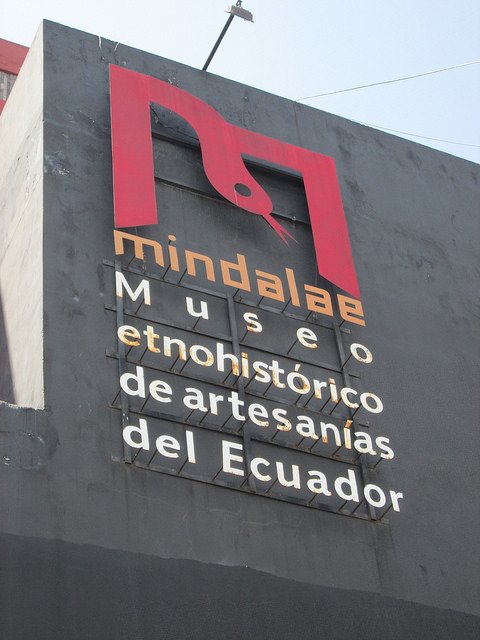 I knew that Dan was interested in seeing and buying Ecuadorian handicrafts, so we decided to pay a visit to the Museo Mindalae, which calls itself an ethno-historical museum of Ecuadorian handicrafts. It turned out to be a good call. Although we are more than half a millennium away from Christopher Columbus, the peoples of the Andes are still very much in touch in touch with their ancestors. Of course, not only the Spanish, but subsequent rulers encouraged them in this. Today, the Fundación Sinchi Sacha, which runs the museum, not only encourages them, but runs a three-story handicraft store featuring the best of their work at fair prices. 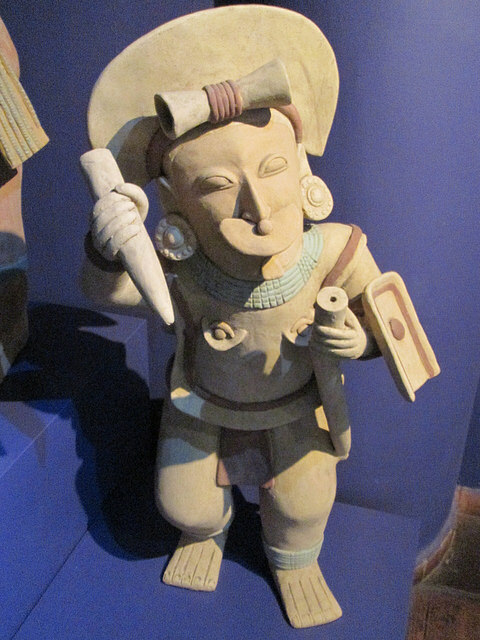 I wound up liking the Museum so much that I returned to it the day before leaving Ecuador for the U.S. Both Dan and I bought several pieces of art from the store. When, subsequently, we saw the crafts markets at Otavalo and Cuenca, we had a good idea what we would find and how much it might cost. Today, Martine and I stayed as far away from the Black Friday Madness as possible. Instead, we went to the Autry Museum of the American West in Griffith Park. 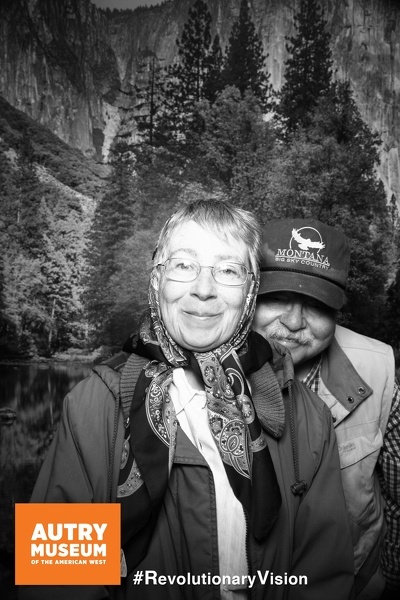 At the #RevolutionaryVision show, we took the above picture, showing a pleasant looking woman and the strange character who photobombed her. 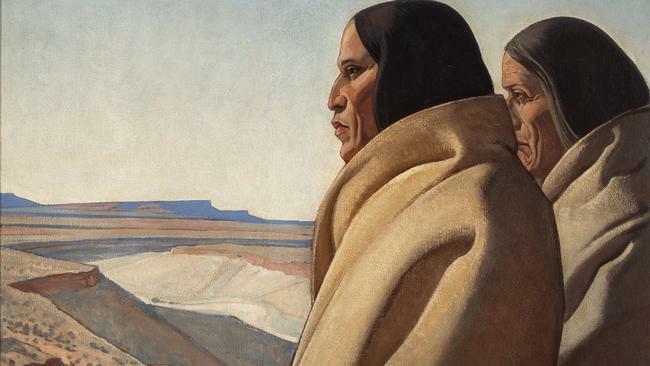 Born in Fresno, California, Maynard Dixon (1875-1946) is probably one of the best painters of the American Southwest. Although the museum was founded by Gene Autry, it attempts to present a panoramic picture of the West, including the land, the Western films, the art, the myths, and the environment. I’ve always thought it an excellent place for travelers from other countries to visit—though I suppose they will continue to troop to Hollywood and be disappointed. The Mariscal district of Quito is so full of nightclubs, including the oddly named (and described) one illustrated above. One could meditate for years on what “Relative the Perfect Side” really means. 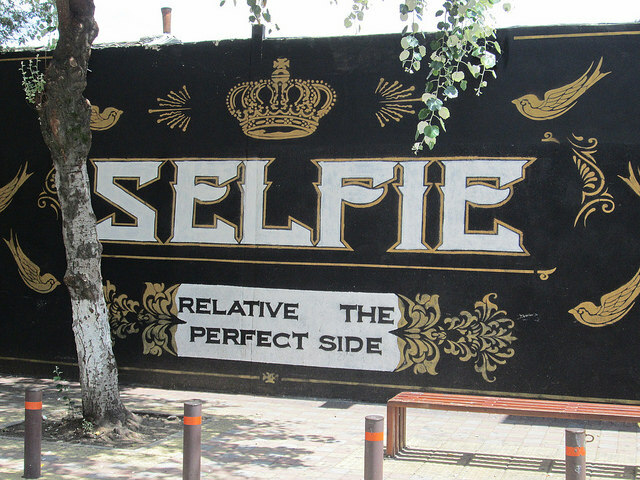 No matter: The term “Selfie” is hot right now, irrespective of any Perfect Side. Apparently, people in Quito with money to invest think they can make a killing by opening a club. Walk down Diego Almagro or Reina Victoria, and you will, within a few blocks, pass several dozen clubs. My brother and I marveled at whether they were making any money at all. After all, probably most of the tourists are traveling on the cheap and staying at youth hostels. Needless to say, neither of us wasted any time listening to loud music and drinking dubious concoctions. American planners stink when it comes to designing comfortable spaces for the public. A classic example is Los Angeles’s Pershing Square, which is essentially an underground parking garage. Do Angelenos want a place where they could sit down, read the paper, get their shoes shined, perhaps listen to an impromptu concert? Well, they’re out of luck: American planners design facilities primarily for hypothetical people who don’t really exist. 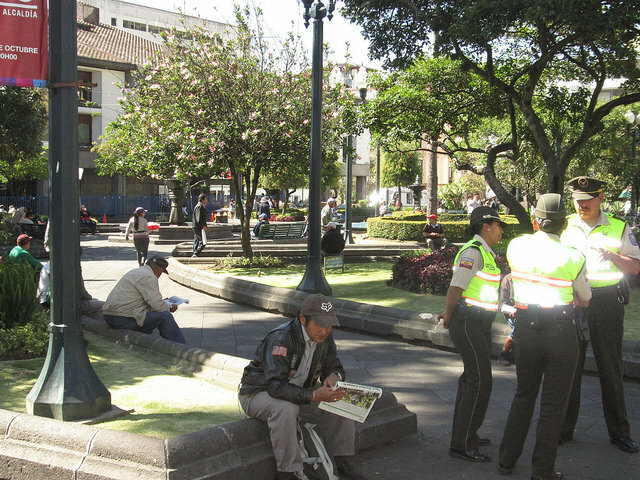 Compare that with Quito’s Plaza de la Independencia (see above), where one could sit and pass an hour or two without getting hassled. You can even feed the pigeons if you want. 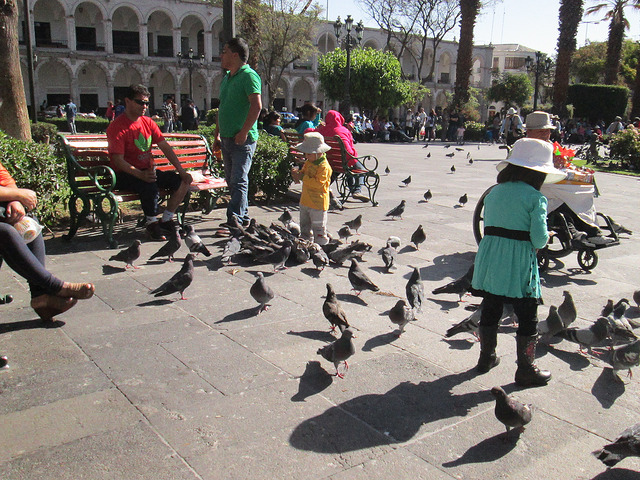 Take the Plaza de Armas in Arequipa, Peru (see below). Instead of chasing you away for feeding the pigeons, there are native women who will sell you some birdseed for a nueva sol or two. Whenever I have some time to kill in Latin America, I will simply find a park bench and sit down for a while. In Cuenca’s Parque Calderón, I got into an interesting discussion with a Peruvian visiting from Cuzco. Admittedly, he was selling some pictures—and I bought some from him because I thought he was a talented artist. I would have a hard time finding an equivalent in Los Angeles without getting panhandled or run over.